Maple Leaf, the Canadian bacon company, is running an advertising campaign featuring the mom Who changed her life with bacon. 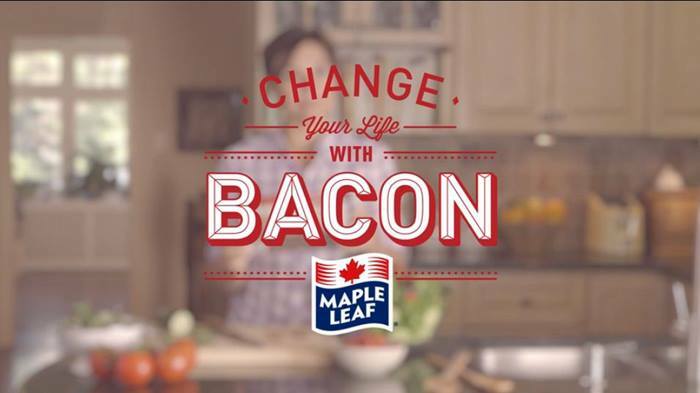 The campaign focuses on one mom’s discovery that Maple Leaf Ready Crisp Bacon (bacon that cooks in the microwave in just 5 seconds) can be used as a motivator to encourage family members to, finally, contribute to household responsibilities. The campaign, online at changeyourlifewithbacon.com, features a launch video along with three follow-up videos showing the power of bacon in action. 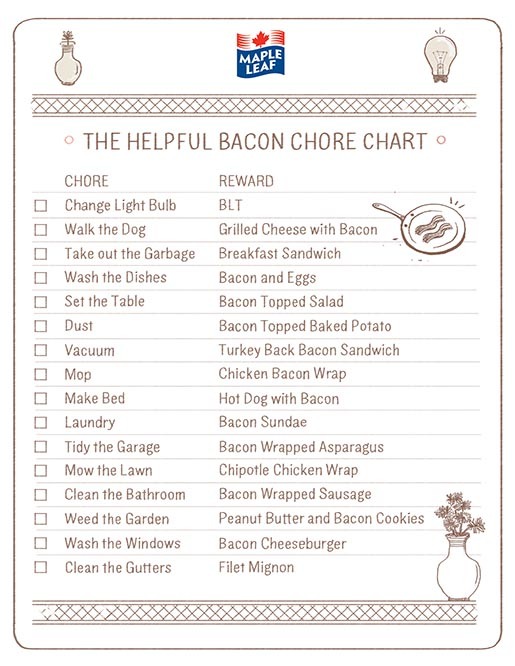 Fans can download a “Chore Chart” to help them change their lives with bacon at home. Maple Leaf is donating wholesome food on its Facebook fans’ behalf to food banks across Canada every time one of the videos is shared, with the final goal of feeding 10,000 families in need. The Change Your Life campaign was developed at john st., Toronto, by creative directors Stephen Jurisic and Angus Tucker, copywriter Jacob Greer, art director Denver Eastman, agency producer Anna Neilson, account team Amelia MacGregor and Heather Crawley, and brand experience planner Allison Coggins. Filming was shot by directors/executive producers Will Beauchamp and Jamie Cussen via Aircastle Films with line producer Lauren Corber, editor Anne Feldman, post producer Susan Armstrong. Casting was by Shasta Lutz at Jigsaw Casting.